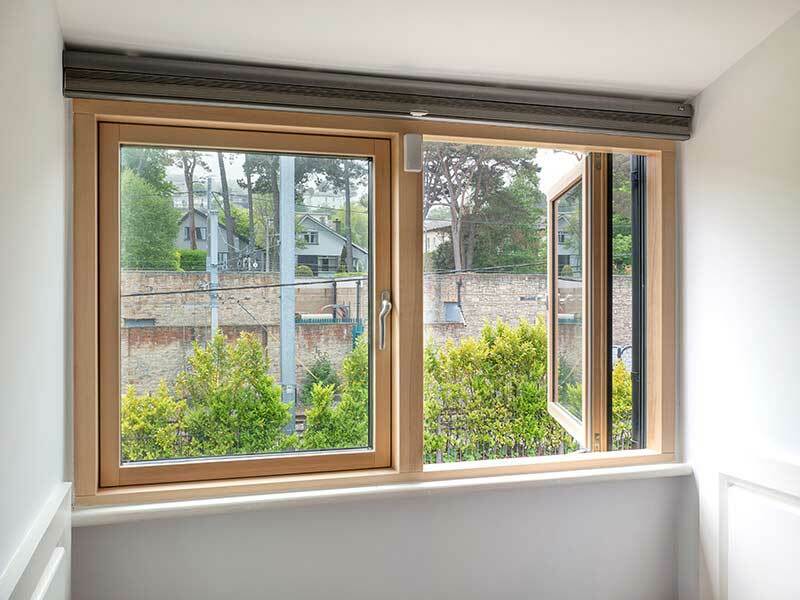 The innovative Signature UPB Passive Aluminium Clad Wood Windows (aka Aluclad Windows) are designed to achieve the highest energy efficiency, water-tightness rating (71% better than the minimum recommended standard) and thermal insulation performance in the industry today. 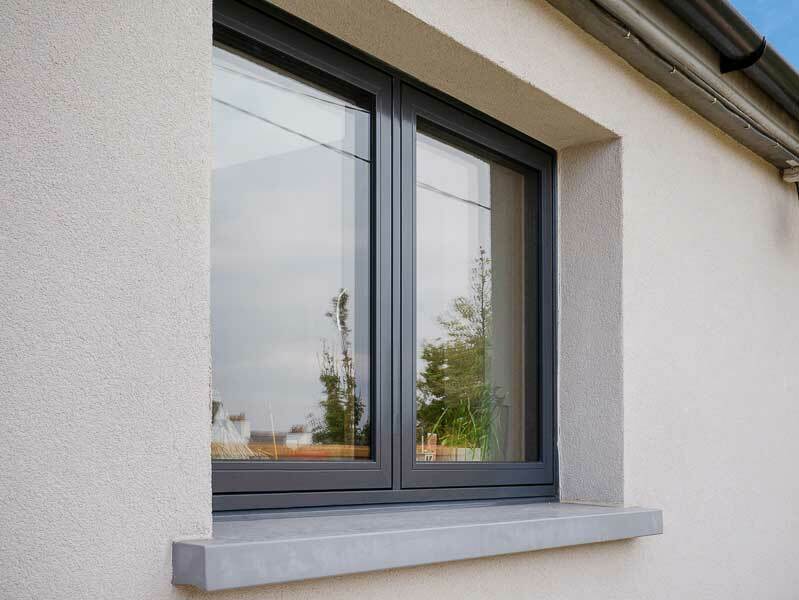 These highly sustainable modern windows offer unmatched passive energy-efficiency with a minimalistic slim design for your low-energy building project. 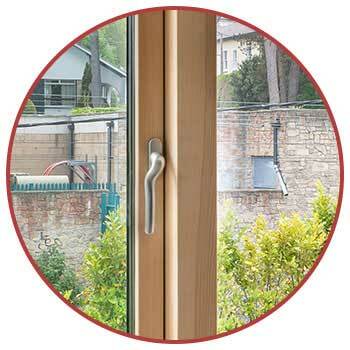 The slimline traditional Scandinavian window design combines modern shapes, faultless functionality and superior quality. 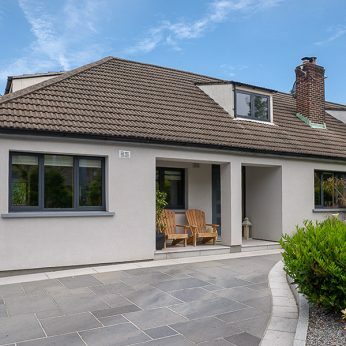 Signature’s passive standard aluminium clad wood windows are perfect for contemporary replacement, new-build, extensions and refurbishment projects across Ireland that require a next-generation window solution without compromises. 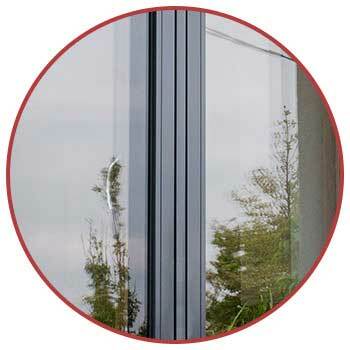 The low maintenance aluminium cladding exterior (left red circle) protects your modern windows from the natural elements. The timber interior (right red circle) allows you to benefit from the natural beauty found in wood and can be painted in any RAL colour of your choice. 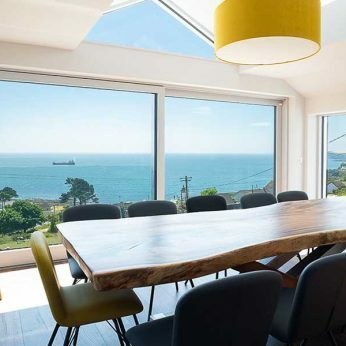 Contemporary design is about maximising natural light, uninterrupted sightlines and minimalistic profiles. Signature’s Contemporary Aluclad windows & doors feature a wide range of features and options that will transform your project vision into a beautiful reality. 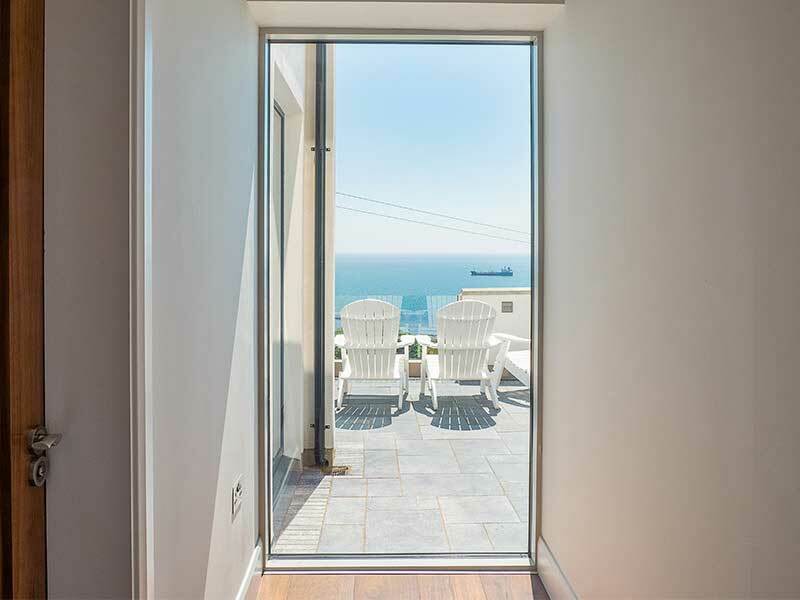 Bespoke Windows & Doors: Signature can create aluclad windows in virtually unlimited sizes and shapes to match your exact project vision. Clean & Slim Modern Appearance: Signature’s Contemporary Aluclad windows feature modern minimalistic profiles with no sacrifice on a slim design for first-rate performance. 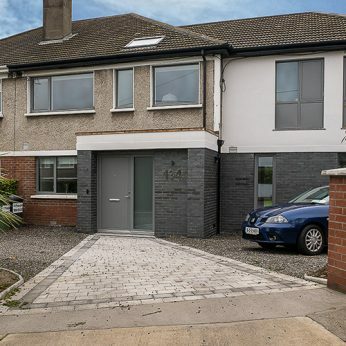 Large Dramatic Sizes: Create a wall of glass or an architectural focal point, without unsightly breaks, for your home with some of the largest bespoke sizes available in the Irish market. Tight Flush Finish: The tight gap between sash and frames gives the window a more refined look and enhances its performance. 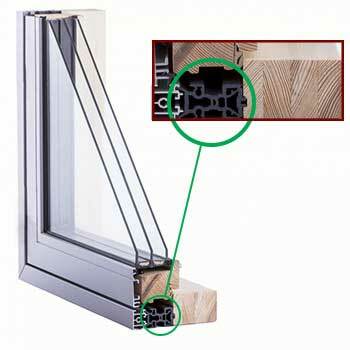 The black polymer thermal break prevents water from lodging between the aluminium cladding and timber, guaranteeing your window investment will last for decades. 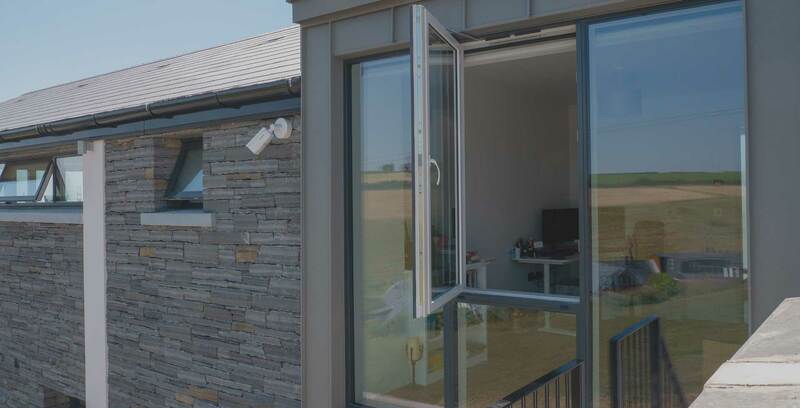 Impermeable Thermal-Break Between Cladding & Wood: Signature’s Aluminium Clad Wood Casement Windows consist of a black thermal-break polymer which enhances insulation performance by at least 35% and doubles overall water-tightness. Effective Drainage Holes: Water that passes between the exterior cladding and polymer thermal-break can escape through drainage holes to prolong the lifetime of your windows. Ultimate Water-Tightness: Signature boasts a water-tightness rating of 1200 pascals which is 2X better than maximum CE standard of 600 pascals which most high-spec aluclad products qualify for. 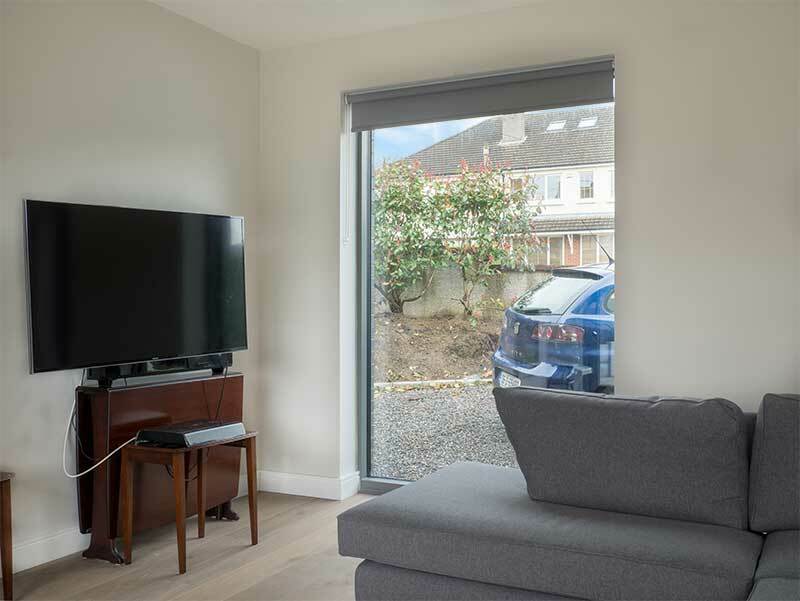 Cost-Effectiveness: Signature’s Contemporary Slim Aluclad Windows can achieve Near Passive Standards at great value, reaching thermal and air-tightness performance that helps reduce energy consumption bills. 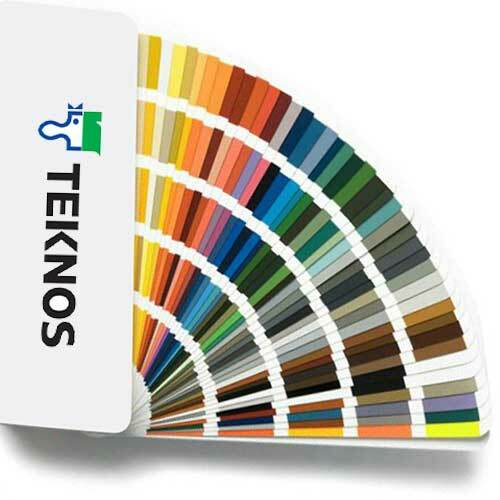 Signature’s low maintenance aluminium cladding exterior features high-quality powder coated factory paint finish that offers remarkable resistance to fading and chalking. Any RAL Colour. Any window or door. The options of glazing type and thickness make it possible to reach different sound insulation, thermal insulation levels and tinted glass. 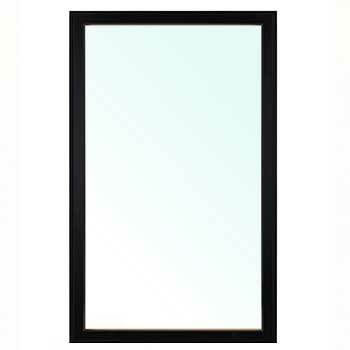 U-Value ratings as low as 0.8 W/m2k with operating windows & 0.65 W/m2k with fixed windows. Signature offers full in-house architectural services to turn your vision into a reality. 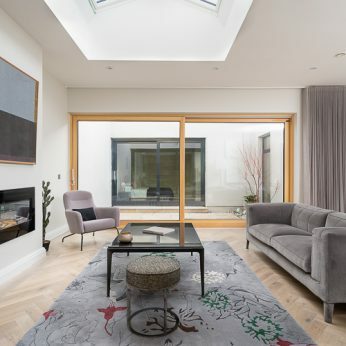 From a dramatic statement with a wall of glass or a uniquely sized custom window, we work closely with homeowners to meet the structural and minimalist aesthetic requirements that modern homes in Ireland demand.